Hijabs for women are available in various colors, shapes and sizes and Muslim women love to team up these Hijabs with their outfits each time they go out. Wearing the Hijab in the same style can be a little boring. But not to worry, the same Hijab can be styled in different ways! We bring to you some stylish ways to wear a Hijab. Necktie/knot: To give a stylish look to your Hijab, you can wrap the Hijab round your head and face and then tie a knot in the front. Make sure that you choose a Hijab that compliments the color of your outfit. Moreover, if your outfit contains designs and patterns, choose a plain Hijab and if the outfit is plain, you can choose a Hijab having patterns and designs. 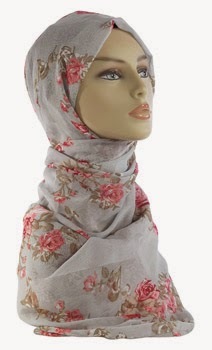 Wrap around the neck: Draping a Hijab in the right manner can give an elongated look to your face. The rectangular shaped Hijabs can be wrapped over the head and then tied around the neck. Place the Hijab on your head and then pull it from both the sides to give your face a longer look. Next, wrap the leftover Hijab around the neck. Make sure that you choose a Hijab that is made of thin material, so that when you tie the Hijab around your neck, it does not look bulky.